I really like Shoryu I’ve been to many of the other branches in London numerous times. So when I heard they opened a new branch closer to home I was super stoked. My hairdresser’s is in the hub of Shoreditch and Old Street, the appointment late in the evening meant I had time to grab dinner. Broadgate circle has many newly opened restaurants that happen to be my favourites. Yauatcha, Jose Pizarro, The Botanists, Crab Tavern, Franco Manca, Beany and a few others. 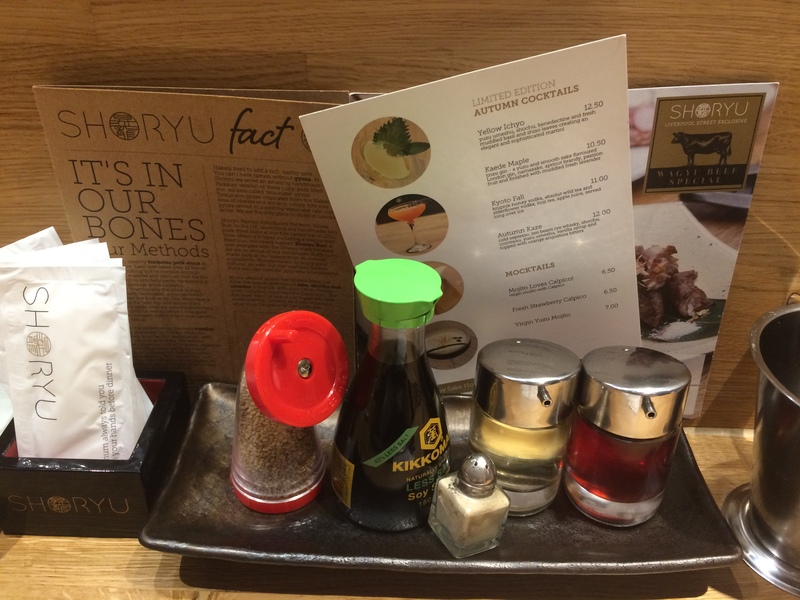 Visiting around the October period, Shoryu had a special Halloween set for around £20. Consisting their infamous Dracula tonkotsu ramen, a spooky ghost bun and monster matcha cheese cake. There was also the major temptation to order the wagyu buns and skewers. The bun can be filled with a choice of pork, prawn or chicken meat stuffed with crunchy iceberg lettuce and tangy mayo sauce. The bun is stamped with a ghostly face for Halloween occasion. Cha siu pork buns usually wins in my favour. There’s nothing else like it out there. My Dracula tonkotsu seemed to be a lot different to what I have had previously, the main missing ingredient the black garlic droplets. Otherwise, the ramen itself was good, and consistent to what I’ve tried before, great chew in the ramen, lovely tender soft meat, a half soft boiled egg. Last but not least the monster matcha green tea cheesecake, it’s the first time I managed to fit a dessert at the end of meal at Shoryu. The green tea cheesecake had a nice density, just the right amount of cheese, with a medium hard crumb base. What makes it monster? There’s a print of a face in chocolate dusting. The Shoryu halloween set proven to be great value, and since it’s in the city nearer to home I be visiting often. 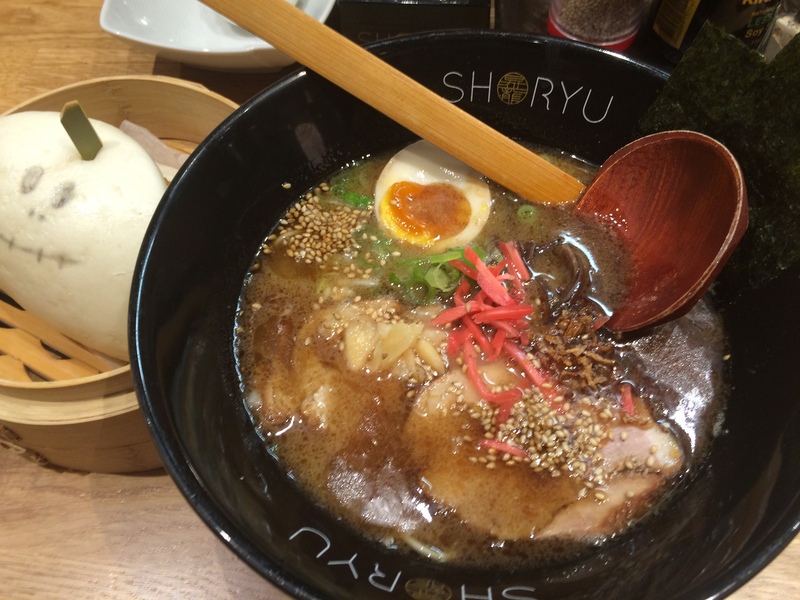 Never been to Shoryu but it looks great – spesh the cheesecake! I got a few more ramen joints I need to visit. I love shoryu buns the most!